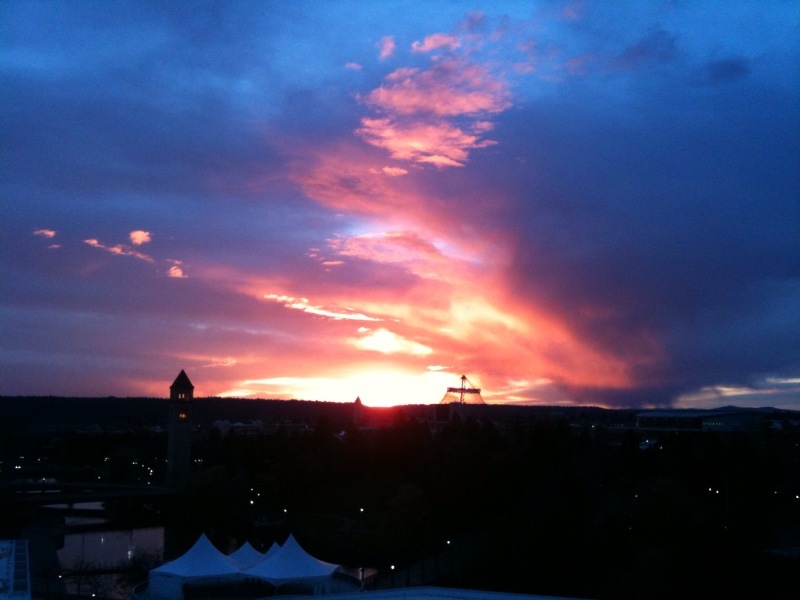 Today has been a long day … But a very fun one! Thank you to all the parents for driving the kids to the airport this morning. 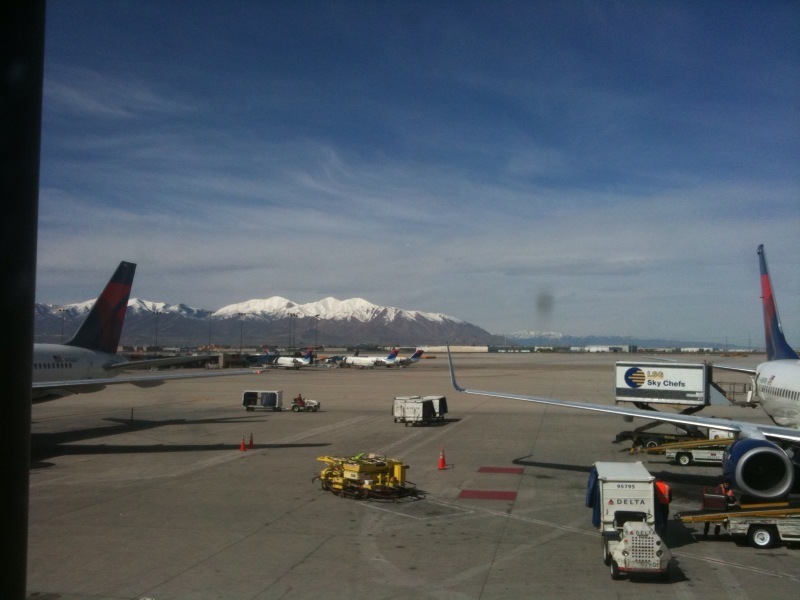 The flights went smoothly and the mountains around Salt Lake City were beautiful. 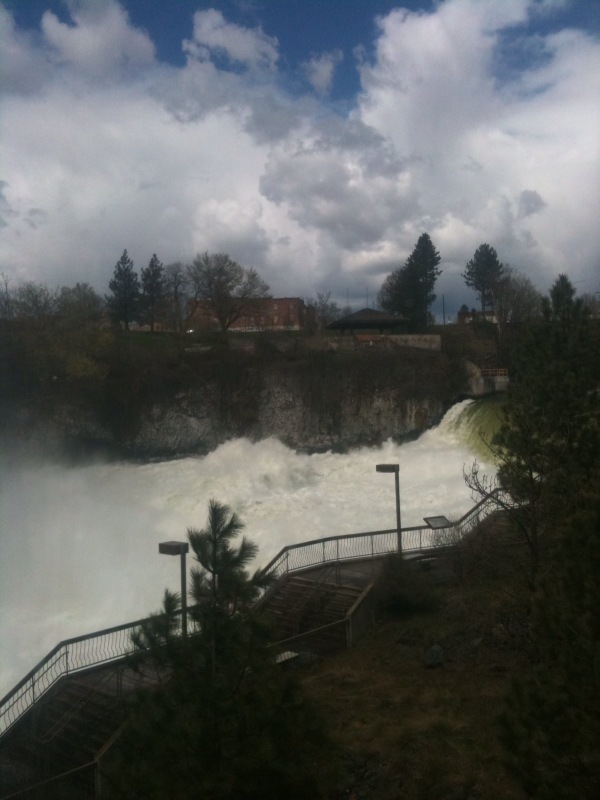 We arrived in Spokane where it was just a bit chilly, dropped our bags off and went for a walk to explore the area and have lunch. 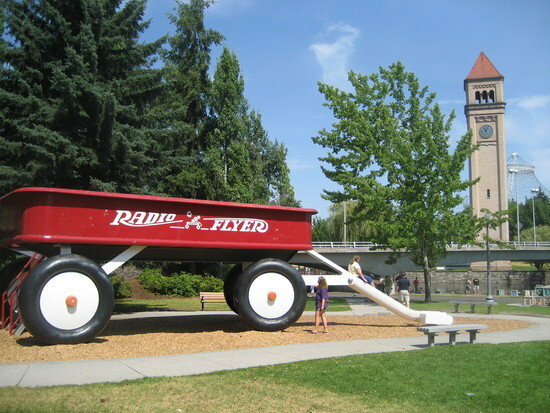 Our hotel is right next to River Front Park and the kids immediately discovered the Giant Red Wagon … You can expect to see lots of pictures when we get home. 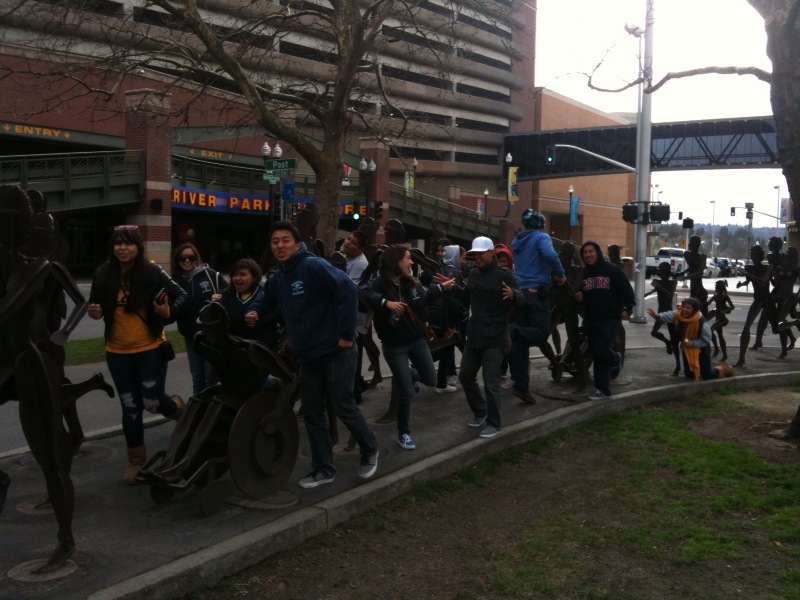 California kids do not like the cold! 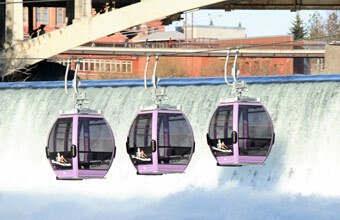 Just down from the wagon we found the Spokane Falls Skyride, which is a gondola ride over the Spokane Falls. I think we were all impressed with the power of the water. Lunch was combined with some free time at the River Park Square … a complex of stores and restaurants. We returned to the hotel, got settled in our rooms, rested a bit and then studied for a couple hours. This evening the forum crew stayed behind to study while the rest of the gang went to dinner with Anthony. Don’t worry they brought back food for the rest of us. Kids were in rooms and ready for bed around 11 … Everyone was pretty tired. Previous Post Help Support Japan!!! !